Thanks for dropping by our pad! 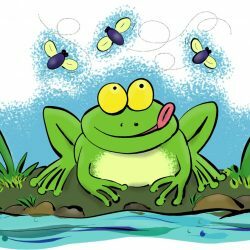 The Frog Factory is a collection of original, quirky, funny cartoons and inspirational quotes on customisable items of all kinds to jump start your day. Looking for a crazy frog cartoon? a funny chicken or something cute and whimsical? They are all here, straight from the creative pond. Choose from T shirts, bags, cards, towels, blankets, caps, mugs, party items and more! The best thing is that you can change the designs to suit your taste. Add your own name or the name of a loved one, change colours, add your own text and make your item special! New designs are added regularly so don’t forget to bookmark us and drop by often. See a design you like but want it on another item? Yes you can! Simply choose the design, transfer to another product and customise! 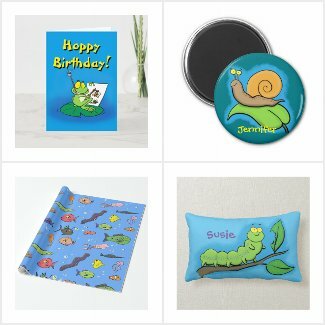 You can find our stuff at the Frog Factory shop at Zazzle and Redbubble. Visit The Frog Factory Shop on Zazzle.